This week on nail twins it was my turn to pick and for some reason I decided that tie dye (or "needle dragging") would be fun to try. Unfortunately, it turned out to be a huge pain! After many failed attempts I decided the easiest way to make this happen was by painting out my colors on a plastic bag and dragging through them. 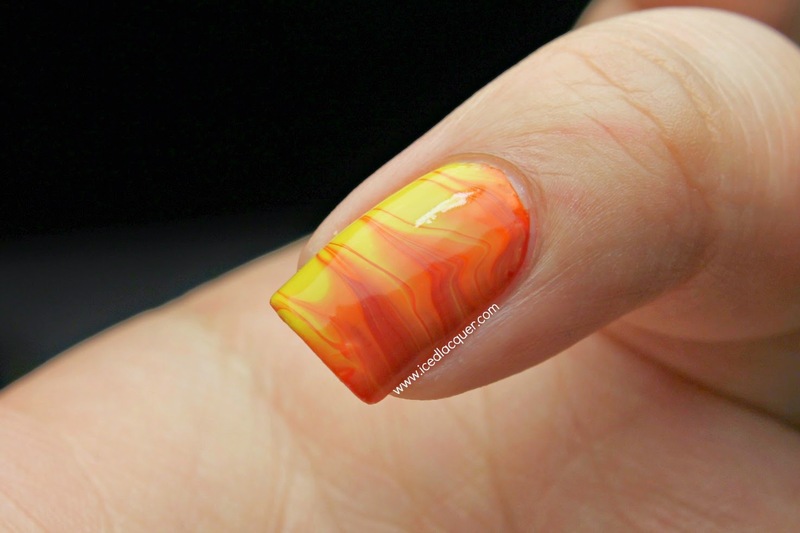 After they were fully dried, I peeled each one and applied it to my bare nail, much like a nail decal. 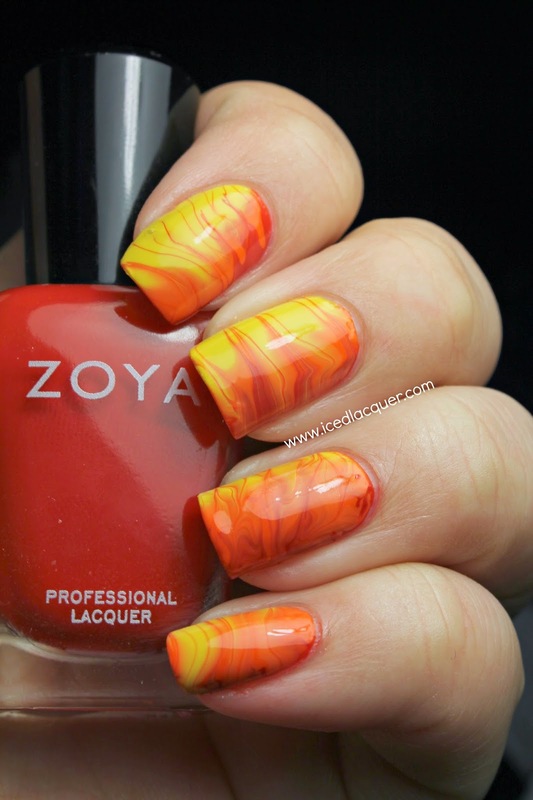 I used Zoya "Sooki," Essie "Orange It's Obvious," and Ulta "Sun-sational" for what you see here, although I did use some additional colors that just didn't make it onto the nail. 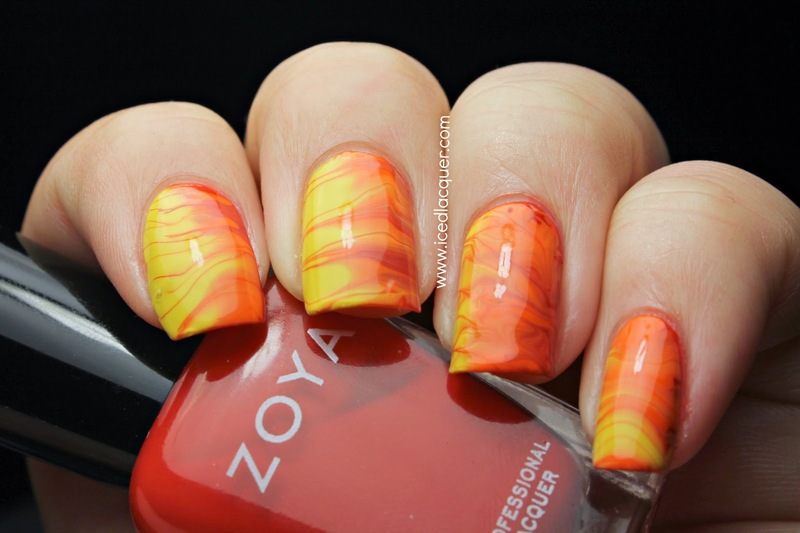 I like the way a couple of nails look, but they aren't quite the "tie dye" effect I was going for! 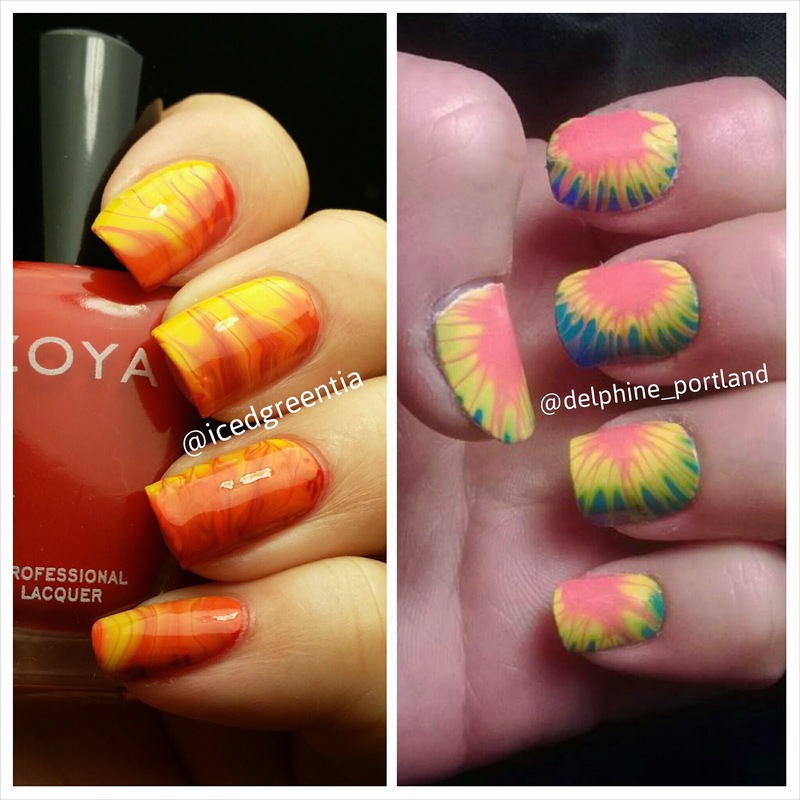 Delphine's nails turned out MUCH more tie-dye-ish than mine! I definitely needed to use smaller sections of color like she did. Oh well! If nothing else I'm definitely learning what not to do by trying out all these new nail art techniques!